For tranquility, serenity and total relaxation of the mind, body and spirit, make sure you don’t miss out on utilizing the Spa at Sanibel Harbour Marriott Resort. Featured treatments combine beneficial elements of the sea, leaving you rejuvenated and refreshed. Choose from a variety of pampering sessions or take part in a fitness class led by top professional trainers in the area. Between the plethora of spa treatments, fitness classes, brand new fitness center, indoor pool, women’s/men’s whirlpools, saunas, steam rooms, showers, lounges, and tennis courts available, there’s no shortage of opportunities for rest and relaxation! * *Spa use requires fee. Located adjacent to the Spa & Fitness Center, you’ll have convenient access to five clay tennis courts, lighted for night play, with activities for everyone from the novice to the experienced player! With Sanibel Harbour’s very own tennis pro and USPTA- and USPTR-certified instructors, you can take part in a Tennis Stroke Clinic, Kid’s Tennis Clinic, Hitting Sessions, and Private or Group instruction. Racquet rentals available. Phone: (239)466-2156 - Call the Spa for information or to book a tennis service. Set sail aboard a 100-foot private luxury yacht, right from the Sanibel Harbour Marriott Resort & Spa marina! You’ll be carried away on a relaxing voyage marked by delicious cuisine and magnificent views of Florida’s southwest Gulf Coast. Whether you choose a romantic Sanibel Harbour Resort dinner cruise at sunset or a delightful Sunday brunch cruise, you’ll enjoy a lavish buffet complete with several entrees and a tempting selection of desserts. You also have a choice of settings from which to take in the view - the outdoor observation deck or two indoor, air-conditioned salons. You may even spot a few dolphins! Phone: (239) 466-2128 - Call for Reservations and hours of operation. 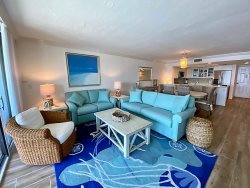 As a rental guest of the Sanibel Harbour Condominium Towers allows you the option to purchase a Marriott Guest Pass to enjoy the Fitness Center including access to the Sauna, Steam Room, Whirlpool, Spa Locker Rooms and Hotel Pools. * The Sanibel Harbour Marriott Resort & Spa restaurants and spa are available to the public and by reservation. These amenities do not require a Marriott Guest Pass to enjoy. *Resort Harbour Properties is not affiliated with the Marriott and does not operate any of the Marriott facilities. Terms, Rates, and Hours of operations subject to change without notice and some exclusions may apply. Pass subject to Blackout dates without prior notice. Fitness Faculties available to individuals 16 years and older.